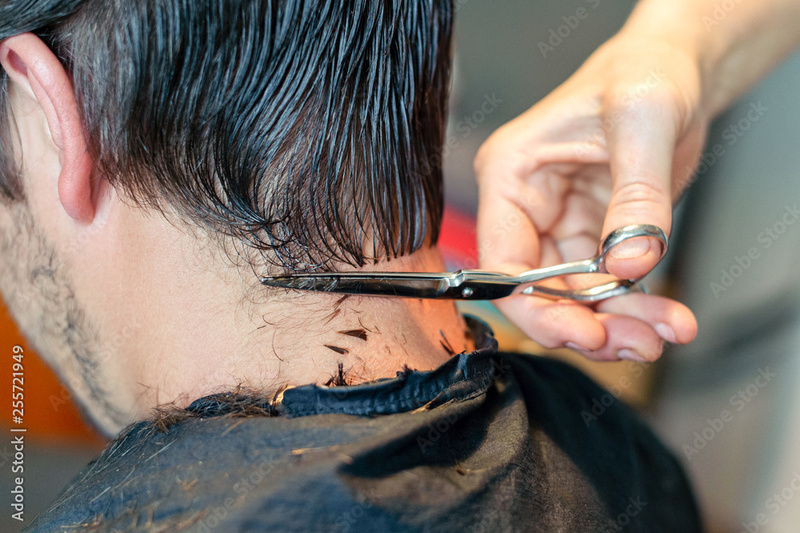 Start > Panele szklane>Panele szklane>Panele szkalne do sypialni>Close up of hairstylist's hands cutting strand of man's hair. Professional hairdresser or barber occupation. Male grooming concept.